This week, my Creative Space has been about solving a few little problems by sewing some useful and practical objects. Hong Kong, since we arrived in July, has been hot and humid. 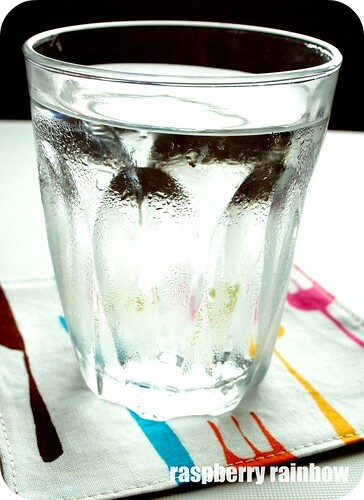 I find we are all drinking cold water from the fridge more often, it helps you to cool down, from the inside. But cups and glasses of cold water in a hot room sweat leaving little pools of water everywhere. So some fabric coasters had to be made. No more little pools of water, the fabric coasters soak up the excess water. Sweaty glasses problem - solved. So I made this extra long zippered pouch, lined with a waterproof fabric. Kids chopstick transportation problem - solved. It took me two weeks, but I have now finished my latest stack of zippered pouches. I had to take and share a photo. I think they all look delicious. Gosh I am so addicted to fabric. I already have another (smaller) pile cut out and ready to sew up. Happy creating (and problem solving) to you. Visit all the other Creative Spaces here. Wow love the coasters AND the chopstick taker!!! Coasters are going to be needed here too in the very near future...might have to put it on my to do list. 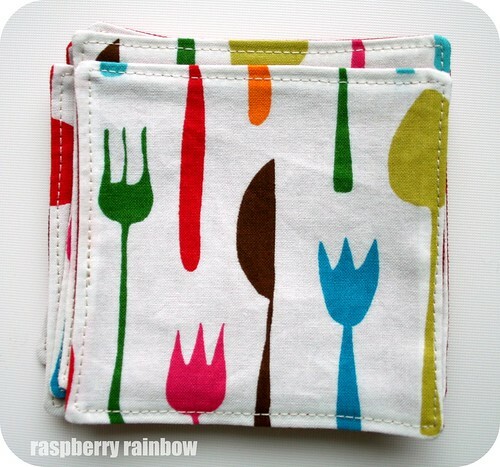 Love the chopstick pouch - do the restaurants not provide chopsticks when you eat out? Very cool ideas..we have the same problem here in the summertime with our drinks..I must make some more coasters before it gets hot! Love the pouches too. OMG your stitching is perfect!! Gorgeous sewing! 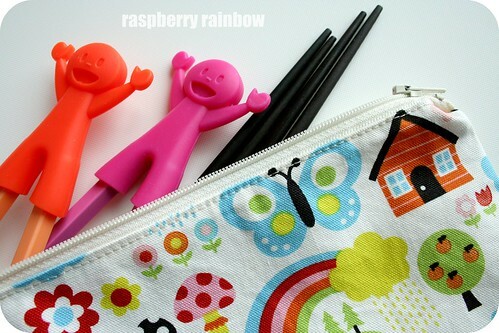 Those chopstick pouches are a great idea! 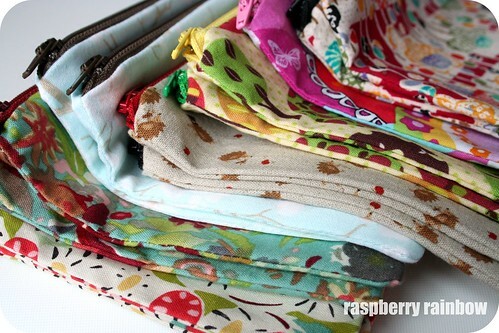 Great ideas -love the pouches in bright fabric! love love love the zippered pouch! such great fabric. What fabulous & creative problem solving and an excellent insight into living in HK - who knew that byo chopsticks was the norm! Those fabrics are adorable. You really have a knack! I would love to give those coasters a try. Looks like it might be within my sewing ability and I love a craft that is practical. Just loving those fabrics too! Crochet is equally addictive BTW - very dangerous, hehe! I love your problem solving :) They look great and I really love the fabric too! " Wow. I just LOVE all of this. So clever and bright and gorgeous! Well done. Your fabric choices are so gorgeous - happy and bright! And your sewing skills are super impressive, I love seeing handmade things put to super practical uses!